The Missing Link Once Daily Hip & Joint for Small/Medium Dogs are delicious multifunctional dog treats! These crunchy chews that reduce plaque and tartar are also packed with omegas and glucosamine for optimal health & wellness in your pup. 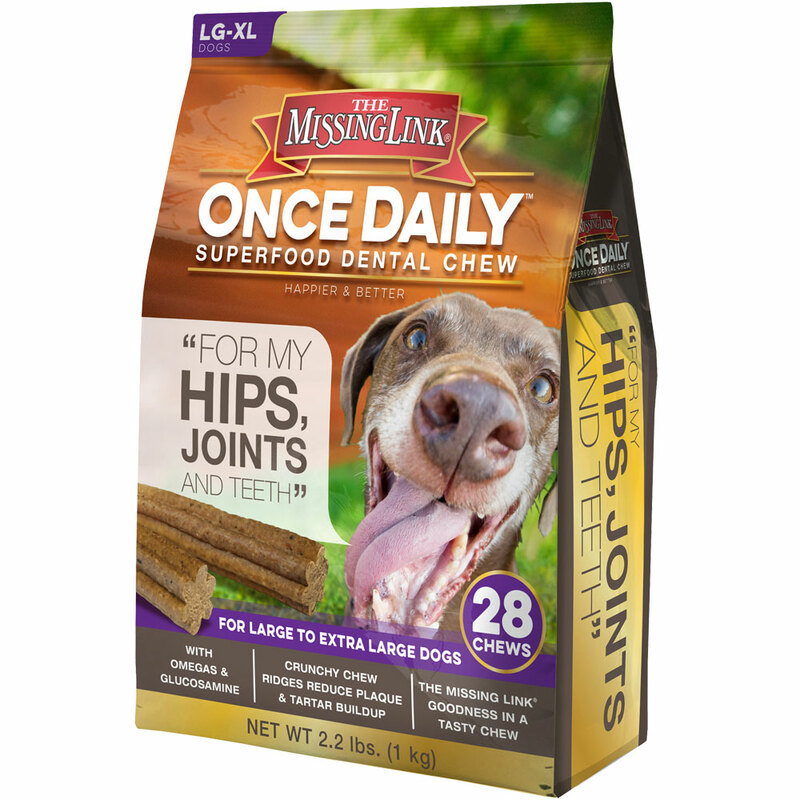 Maintain the hips, joints, and dental health of your furry friend all in one chew! 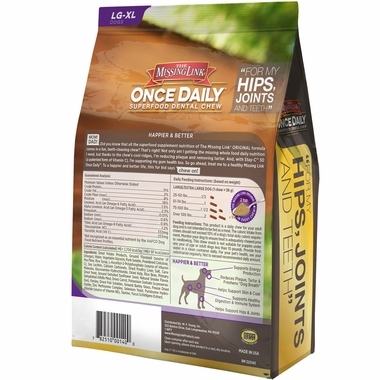 This product is a daily chew for your adult dog and is not intended to be fed as a meal. the caloric intake from chews should not exceed 10% of a dog's total daily caloric requirement. Monitor your dog to ensure treat is adequately chewed prior to swallowing. This chew snack is not suitable for puppies under one year of age or adult dogs less than 10 pounds. Provide fresh water in a clean container daily. For your pet's health, see your veterinarian regularly. Not to exceed rexommended daily amount. Store in a cool place, dry place out of direct sunlight.